Today’s equipment is working harder under harsher conditions to produce the same output as it always has. 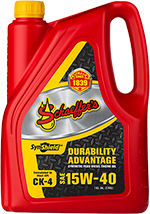 As the going gets tough, Schaeffer’s heavy-duty diesel oils provide the extra muscle your engine needs to preserve durability. 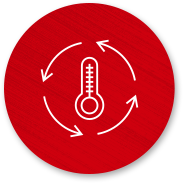 When operating temperatures rise, our proprietary additives allow our oils to maintain performance for more hours and over more miles. 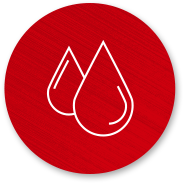 Better oxidation and thermal stability means optimal performance, less oil consumption and longer component life. 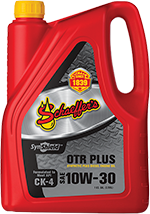 Schaeffer’s robust oils resist breaking down in higher operating temperatures, allowing your equipment to consistently run effectively. 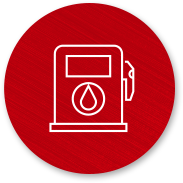 Blended with enhanced detergency and dispersancy additives, our oils shield your engine from low temperature sludge buildup and high temperature deposits. 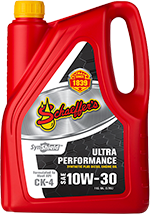 Schaeffer’s oils are formulated with proprietary friction modifiers Micron Moly and Penetro to reduce wear and friction on bearings, rings, pistons, cylinders and valve-trains. 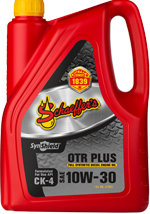 As temperatures drop, Schaeffer’s synthetic oils still flow freely and quickly circulate throughout your engine the moment it starts. 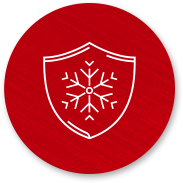 Our full synthetic oils provide maximum cold weather startup protection in temperatures as low as -40°. 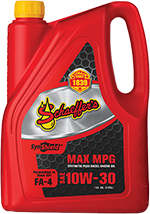 Schaeffer’s synthetic oils are routinely tested each year, and the results consistently show our oils produce real savings to your bottom line. Para-synthetic, heavy-duty, 15W-40 diesel oil that provides stronger durability, better soot control and stronger wear protection to equipment working long hours in severely harsh conditions. Exceeds API CK-4. Para-synthetic, heavy-duty, 10W-30 diesel oil that delivers better fuel economy benefits with maintaining engine durability to keep your equipment running long after it’s been paid off. Exceeds API CK-4. 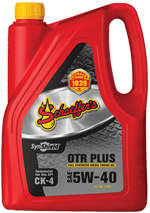 Premium, full synthetic 5W-40 oil formulated to extend engine life while providing extended drain capability and improved fuel economy benefits. 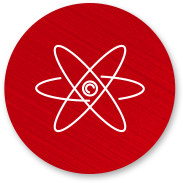 Exceeds API CJ-4. Full synthetic, heavy-duty, 10W-30 diesel oil that delivers better fuel economy benefits with maintaining engine durability to keep your equipment running long after it’s been paid off. Exceeds API CK-4. Para-synthetic, heavy-duty, 10W-30 diesel oil that provides stronger durability, better soot control and stronger wear protection to equipment running in stop-and-go, excessive idling and short haul situations. Exceeds API CK-4. Full synthetic, heavy-duty 5W-30 diesel oil that provides stronger durability, better soot control and stronger wear protection to equipment running in stop-and-go, excessive idling and short haul situations. Exceeds API CK-4. Para-synthetic, heavy-duty, 10W-30 diesel oil that delivers increased fuel economy benefits while maintaining wear protection, extended drain capability and high temperature performance. Exceeds FA-4.